Shankly – the man who made Liverpool Football Club what it is today – is inscribed on walls, scarves, T-shirts and most of all, our hearts. With every beckoning weekend come 90 minutes of sheer excitement and nail-biting nervousness. Things are finally looking bright for the men in ‘Shankly Red’. When you hear thousands of Kopites signing You’ll Never Walk Alone you get goosebumps. I always stand up, hold the scarf high and yell my lungs out in the sanctity of my own living room. This is my tiny little Kop End. I may be a few thousand miles away, but in my own way, I am right there gunning for another victory. It has always been a dream to go and witness the atmosphere live at Anfield. Tears of joy and pain, ecstatic jubilation, defeat, victory, and never-ending passion are feelings most of us have on a weekly basis. Ninety minutes of pure competition and unadulterated emotion. In all honesty, I have never felt this connected to Liverpool Football Club and I owe much of this to our current owners and Jurgen Klopp. 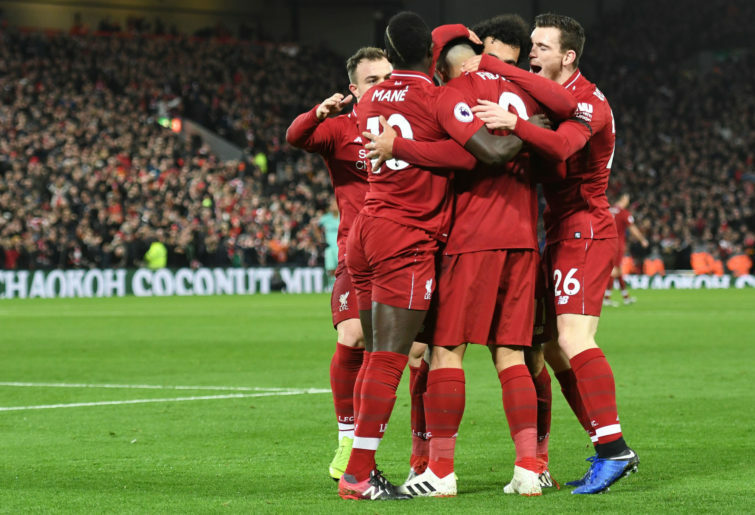 Three and a half seasons ago, after a 1-1 draw with Everton in the Merseyside derby, Liverpool Football Club looked like a headless chicken with fans looking for answers and players looking for direction. Brendan Rodgers was shown the Anfield gate and on October 8, 2015 Jurgen Klopp was given charge of our great club. The biggest strength of a manager is to create a genuine connection between the management, players and fans. Not a lot of managers have that quality. Klopp has transformed Liverpool into a footballing force that is reminiscent of the great Shankly era. We are in a positive place as a football club, and it saddens me that some Liverpool fans are unable to understand that given the lack of trophies. Klopp has slowly and yet steadily moved Liverpool in the direction that Sir Alex Ferguson claimed to have us knocked off, while United in their own way fighting to be relevant. There is a reason legendary Liverpool goalkeeper Roy Clemence said, “Jurgen Klopp is the best manager Liverpool have had since Bill Shankly”. He knows a little more about the sport and the way a football club is run as compared to most Twitter football pundits. Let us face facts: football managers are judged purely on how many trophies they’ve won. Is that entirely correct, and if so, should that be the only metric by which their success is gauged? Klopp has taken Liverpool to a few finals where players have come out second best. It stings, ask any Liverpool fan. But comparing him to possible replacements and what those managers did with other clubs in different circumstances makes no sense. Compare Klopp to two of his predecessors, Roy Hodgson and Rodgers. They were not even progressing up the table or in knock-out competitions as well as we are currently. If you still believe that he must go, then you lack a plain understanding of football. This is a game that is much more than just trophies. If you ask most Liverpool fans whether they would want Jose Mourinho at the club, who may end up winning a few titles but play a style of football which is borderline anti-football, many will say no. Football is synonymous with passion and discipline. It is a form of art. With the team Klopp has assembled, it is evident he epitomises that. The players are ready to take a bullet for the man. Klopp knows how to rile up his army of red men and his supporters. His energy, personality and desire resonate with the Anfield faithful, which makes him the perfect fit from more than just a footballing perspective. This is a better love story than Twilight, and this just seems to be a perfect fit for both the club and manager. Klopp is not just a football manager, he is a unique personality that brings something different to the pitch. Most managers oversee just the football, while some have a larger role. Some do not get a say in the transfers or the way a club is run, very few have that sort of capability. Klopp is one. The others that come to mind are Arsene Wenger and Sir Alex Ferguson. Klopp and our wonderful owners have pulled Liverpool out of mucky mediocrity. Over a period of time they have developed a larger stadium, sold deadwood players, bought high-quality talent, nurtured young players and are currently working on a better training facility. All these efforts have made us a force to be reckoned with once again, playing the most attractive football in Europe. One of the most underrated facts is that the management has done all of this in a systematic way. We have not overspent like other rivals such as the Manchester clubs and Chelsea. Klopp has a net spend of about £93 million in the three and a half years that he has been at Liverpool. The club has used the money gained from player sales and sponsorship deals. The approach to running Liverpool is one that is holistic and not unidirectional. Klopp is arguably the best manager when it comes to his man-management skills. Rivals fans mock the ‘Klopp hug’ but that is something that instils apperception in the mind of the players, which makes them give him more than 100 per cent. I am jealous that I may never get a chance to get a Klopp hug! He has brought the city together in a way that has seen the Kopites so loud and passionate that it is evocative of the Shankly era. Yes, Liverpool Football Club has not won a lot of trophies in the recent past. However, in the last three years, we have steadily gone up the Premier League table, plus played a part in a UEFA Europa League final, a League Cup final and a UEFA Champions League final. Not to mention Liverpool is currently amidst one of the most exciting title run-ins that the EPL has seen in a long time. 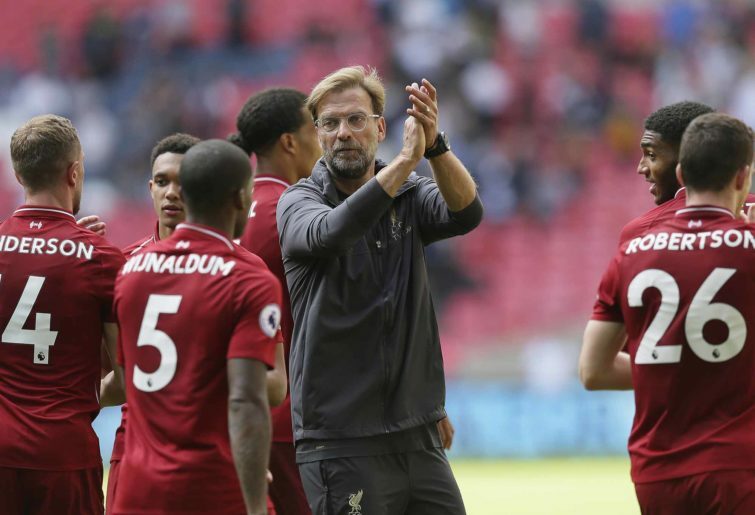 Klopp is one of the major reasons that the 2018-19 season is not a one-horse race. If anyone believes that Liverpool will be better off without him… well, I do not even know how to end that sentence.